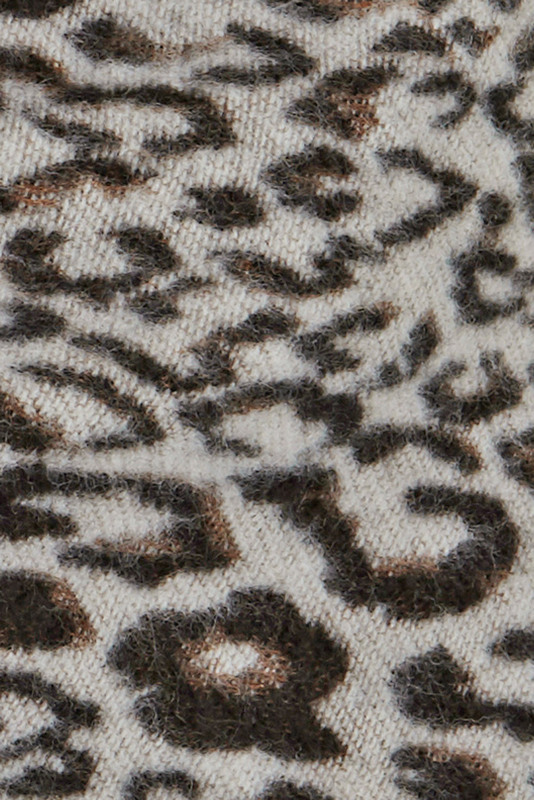 Unleash your wild side this winter with a leopard print blanket scarf. Animal prints are perfect for adding a pop of pattern to outfits: layer yours over a little black dress to bring instant glamour to an evening look. 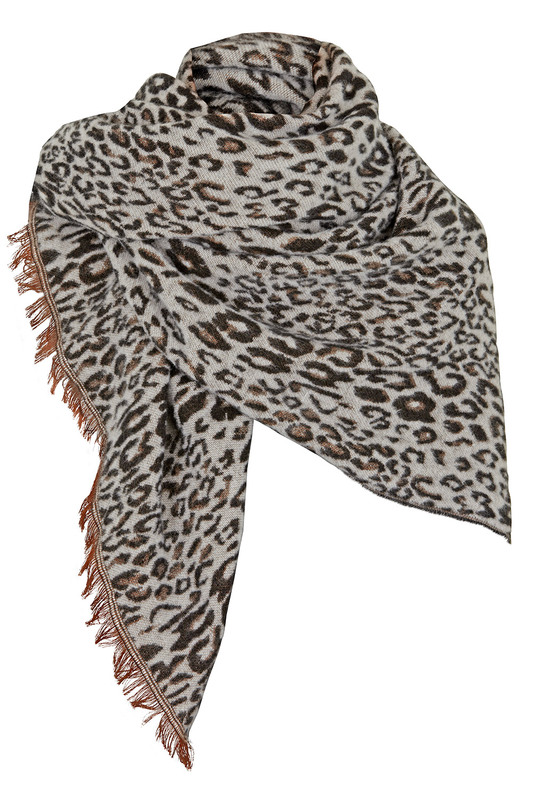 With its blanket shape, this scarf can be folded into a neckerchief or draped over your shoulders to lock out the cold. Frayed edges bring a casual feel to this design.